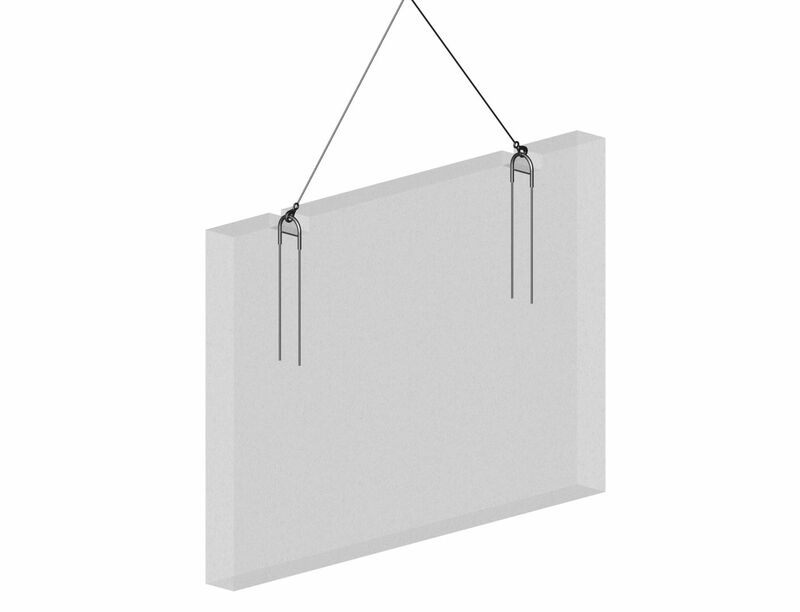 PNLF Sandwich Wall Insert is designed for lifting and transporting precast sandwich wall elements. 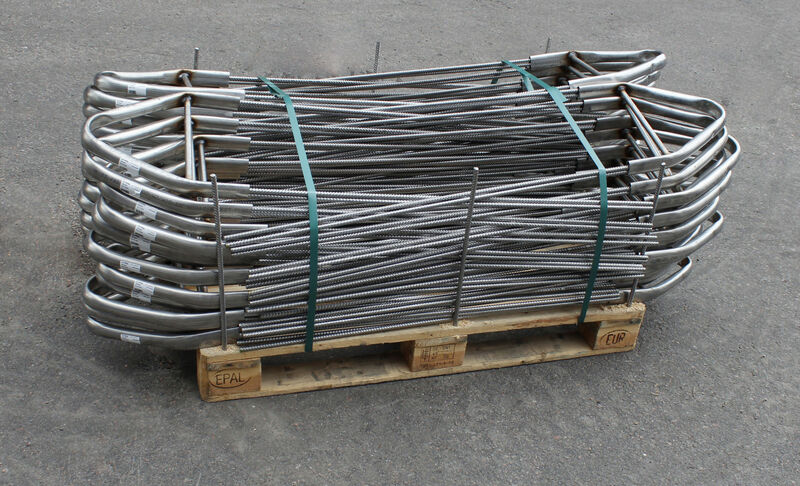 It is efficient ready-to-use solution as no special lifting keys are needed. 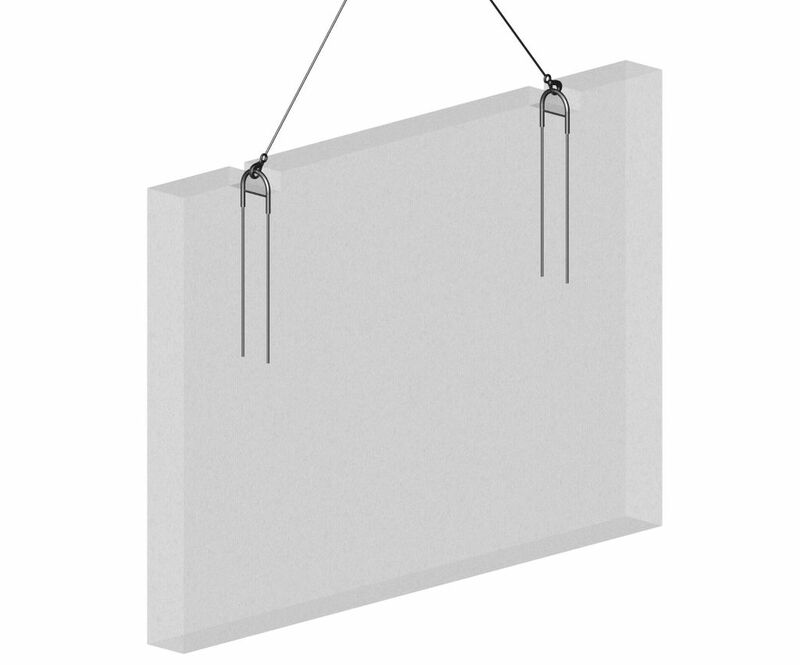 PNLF Sandwich Wall Insert has six different load classes and is available in several insulation thicknesses. 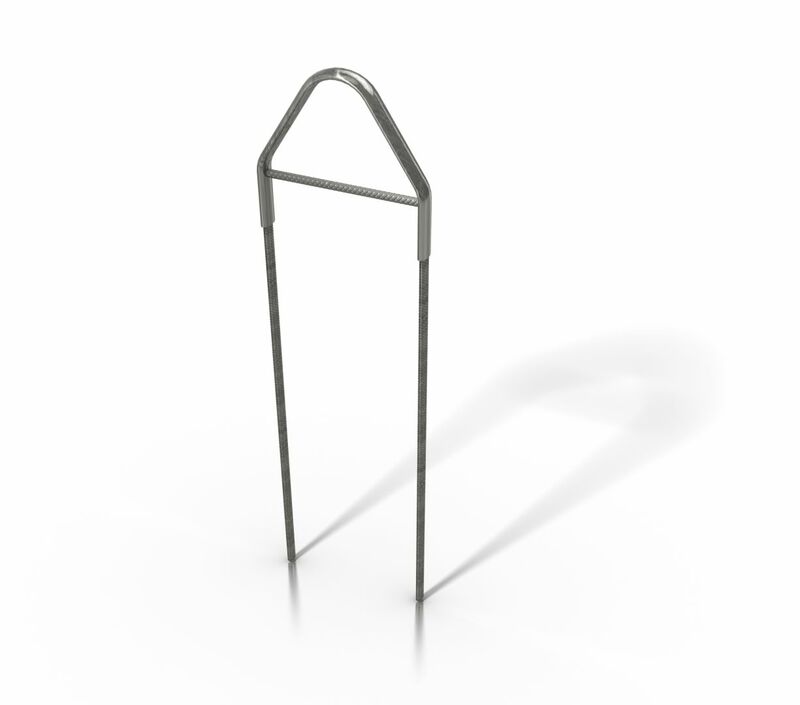 PNLF Sandwich Wall Inserts are permanently cast into the inner and outer panels of sandwich walls, and the anchoring is based on the inserts’ own anchoring rebars. 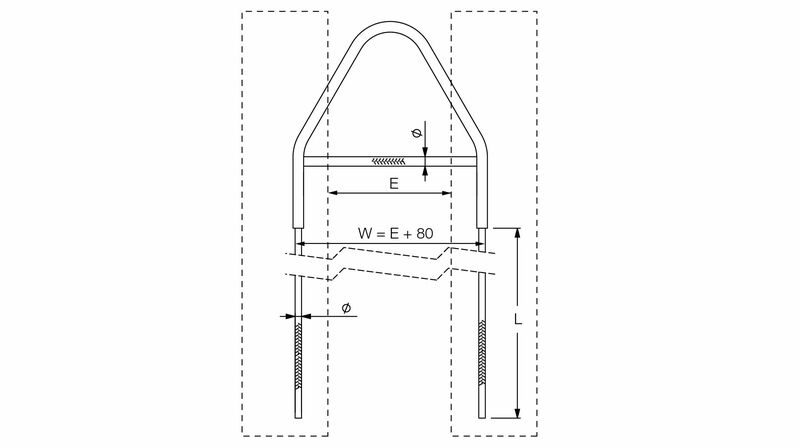 They are assembled perpendicularly to the angular pull, with a maximum permitted load angle of 30°. PNLFs are made of stainless steel, which makes them the perfect choice for the outer panels of sandwich walls. They are an efficient solution where no special lifting keys are needed as the lifting slings can be attached straight to the PNLF Insert. 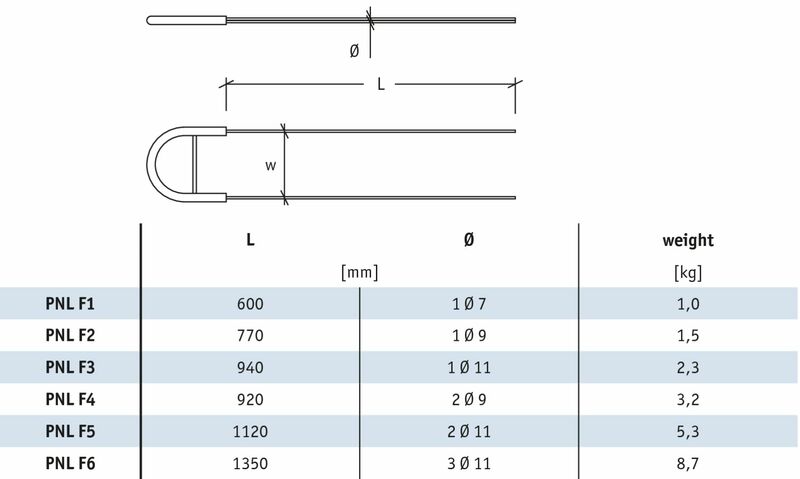 When thickness of insulation E > 200 mm, PNLF is manufactured as triangle shape. The dimension W is thickness of the insulation layer + 80 mm.